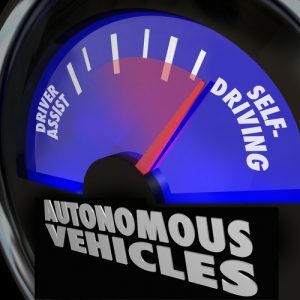 Arizona has attempted to attract technology companies to the state from California by creating an anti-regulatory environment for self-driving car technology. The state has allowed companies to test their autonomous vehicles on the state’s highways. This has led to several companies testing their vehicles in Arizona. Uber has been using its self-driving vehicles on the roads in Arizona. On March 18, a self-driving Uber Volvo XC90 struck and killed a 49-year-old woman in Tempe, Arizona. The woman was reportedly walking her bicycle across the street when she was struck by the Uber. The vehicle was reportedly traveling at 40 mph and failed to slow when it struck the woman. There was a human operator sitting behind the steering wheel so that he or she could take over in the case of an emergency. While it is too soon to determine whether the vehicle or the pedestrian was at fault in the Arizona case, the case does raise some potential issues of liability. If the vehicle is found to have been at fault, it is possible that the manufacturer could be held to be liable under theories of strict products liability or negligence. If an accident happened in California involving an autonomous vehicle that killed someone, it is possible that the victim’s family could hold the manufacturer or designer of the vehicle liable under a theory of strict products liability. In products liability cases, it may sometimes be difficult to show that the companies were negligent. However, if a defect in the design or manufacture of the product caused an injury, the company may be strictly liable. In order to prove strict products liability in California, plaintiffs must be able to prove that he or she was harmed by a product that was defectively designed, had manufacturing defects or had insufficient warnings about the dangers it presented. The design defect of the product was a substantial factor in causing the harm. The disadvantages of choosing alternative designs. This would require an analysis by the jury of whether or not there was a different design that could have been used by Uber and that was a feasible one to use. Uber could also be liable under a theory of negligence for a wrongful death accident that occurs between one of its self-driving vehicles and another person or vehicle. In order to prove negligence, a plaintiff would need to prove that Uber designed or manufactured the vehicle and was negligent in its design or manufacture of it. The plaintiff would then need to prove that he or she was harmed, and Uber’s negligence was a direct or proximate cause of the harm that the plaintiff suffered. Claims that may be filed against Uber or one of the other manufacturers of autonomous vehicles would likely include both theories of negligence and of strict products liability. As the technology continues to be developed, it will be important for the state and federal governments to address potential liability and insurance issues with new regulations and laws. If you are injured in an accident involving an autonomous vehicle in which the vehicle was at fault, it is best for you to get help from an experienced personal injury attorney in Los Angeles. Determining the appropriate parties to name as defendants to the lawsuit and the proper claims to file may be complex. Contact the law office of Steven M. Sweat APC to schedule your consultation.